In my contribution this week, I found myself unable to regurgitate the same endless daily news tid-bits we have presented to us on the situation in Libya. 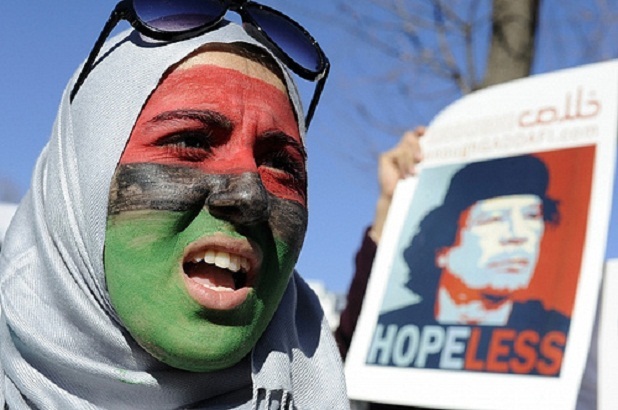 The fall of Gaddafi, following nearly six months of fighting in the North African country and culminating in the battle for Tripoli, can only be beneficial to all of us as Arabs . While I know this to be a hotly contested issue, I believe that international interventions occur when unmistakably corrupt and oppressive regimes leave no room for positive political outcomes (domestic or internationally mediated). A democratic, fair and just regime aiming for just outcomes can and should fearlessly face outside threats head-on whereas tyrants and failed state systems like many in our region are bound to be swept away. A key factor in Libya, which accelerated the process for foreign intervention, was Gaddafi’s unforgiving pummelling of unarmed demonstrators with disproportionate means. This inevitably shocked the international community and made so-called humanitarian intervention that much simpler. This was certainly not the case in Tunisia nor in Egypt where the armed forces, understanding that their people and history would forever judge them, acted accordingly to end the bloodshed. More shocking than the horrific images from Libya are the opinions currently being paraded before us in the Arab media. I am often left speechless by the increasingly mainstream, pro-Gaddafi front building up in Arab public opinion. The idea that Gaddafi is a hero for facing NATO is a prevalent one amongst so-called intellectuals, pundits and experts invited to speak by a cynically biased Arab media. The defence of Gaddafi’s reign mirrors the sympathy which was expressed for Saddam Hussein as the man capable of keeping Iraq unified, a supposed victim of American imperial interests when, in reality, both men ruled through abject terror and without mercy for decades. Indeed, this view is usually disguised as a censure of Western Intervention, which they qualify as imperialist, but should not be allowed to sabotage the real debate behind the entire Arab Spring. I for one, refuse to fall into this simplistic collective narrative which vindicates despots such as Gaddafi (or any other for that matter) for the sake of rejecting Western imperialism. Two wrongs don’t make a right! I believe in the necessity for Gaddafi, Ben Ali, Mubarak and co. to be put before a court domestically as well as internationally (at the Hague). It has become a symptom of common intellectual laziness in “our” part of the world (North Africa and the Middle East), to see in all outside intervention some form of neo-colonial venture while we ourselves adamantly refuse to undertake an imperative introspection as to what has led ‘us’ all (if indeed one believes in an ‘Arab nation’) here. We fear confronting a disturbing reality: that our leaders have, without exception, failed on the domestic and international levels. As such, so have we as citizens of our nations. When dissidents speak out to defend values of fair and free governance and hold despots accountable, they are beaten and tortured whilst the rest of us on the sidelines watch on silently. Saddam Hussein, Gaddafi, Ben Ali, Mubarak and the countless others out there still, are only able to exist because we allow them to, and because we have yet to put them before the only unquestionable judge and sovereign: their own people. Our institutions protect themselves and not their peoples. As a consequence of their abject inability to move their nation forward they feel the need to buy support rather than gain it. The Arab street, up until recently, had sold on the cheap its high expectations from the days of independence and, predictably, it continues to pay through the nose today, with semi-failed states scrambling for excuses when we are ‘weak’ enough to be of use to greedy western powers. Our educational systems are an absolute failure. Products of local regime propaganda, our school and university programmes dangerously mix conservative Islamism and primitive demagogy, leaving Arab graduates and intellectuals that are poorly trained, unable to think critically and unable to push for progress. Our journalists and intellectuals acquiesce and suggest rather than inform, create and demand. Our economies for the most part are either too oil-dependant or paralysed by bureaucratic nepotism which leaves no room for improvement nor growth. A prominent Russian diplomat, recently came out in defence of the Colonel, pointing to the fact that Gaddafi’s economic policies were “fair”. He and others highlight Libyans being lavishly granted interest-free credits for construction of their houses, state-subsidised car petrol and foodstuffs as proof that the Colonel was no despot. Whilst I have nothing against these policies, those who stand by Gaddafi and others in the region for such reasons should come to their senses. These economic policies are neither exclusive to the current leadership nor will they necessarily end with their demise. Democratically elected institutions with freedom of expression and separation of powers, working in the better interest of the people would have done just the same. In the specific context of the Gaddafi reign, they are certainly not the product of a concerted economic vision. They are in fact nothing more than hand-outs aimed at quelling domestic dissent and buying the allegiance of Libya’s complex tribal landscape. Similar examples of this can be found in literally all countries of the Middle-East. Instead of investing heavily in the vital sectors of education, health, infrastructure, we are told this and that Arab state has purchased billions of dollars worth of armament, fighter jets and technology. More soldiers, more police, less teachers, less doctors. Public spending is the best kept secret in most Arab states; with politicians and their families spending millions of dollars on lifestyles far beyond the very imagination of the average Arab mortal. And who could possibly blame them for hiding it? Yet we are all familiar with these realities and rather than openly question the misuse of public funds as a society, we continue to bemoan an immovable historical fact: imperialism. Rather than publicly challenging, for instance, leaders’ attempt to change their countries’ constitutions, we bemoan their actions behind close doors. Rather than depose and judge the dictators behind the misery and lack of freedom plaguing us, we allow others to do it for us. I should probably repeat once more that by no means does my argument contain a defence for foreign intervention . I have consistently stated in previous articles that such military interventions almost always make a bad situation far worse. I do however find myself immensely frustrated with our collective inability to move forward in our quest to end the instability that has plagued our region for decades. The incapacity to look beyond America, France, UK and Israel as eternal tormentors of a besieged Arab Middle-East will lead to nothing. Whatever the outcome of the Libyan imbroglio we mustn’t forget the primary lesson from the Arab Spring: that we as a people are masters of our own fate and that a strong, free and fair society has nothing to fear of imperial pretensions and greed. « Previous: Music ‘I, Culture’ Orchestra: can music change politics? Isn’t the point that the regime that replaces Gaddafi’s will be democratically elected only in the most marginal of ways, tied irrevocably to the foreign powers that have allowed it to exist and responsive only in the most minimal ways to the wishes of the Libyan people? In other words, a regime very much like Gaddafi’s, without the threat of independent action presented to NATO powers by Gaddafi? I agree with your assessment that opposing Western imperialism does not legitimate Gaddafi. But I think you skim over too quickly the reasons behind the intervention, which will have a serious impact on the type of government that will be permitted to form in Libya. Some of your claims — such as “A key factor in Libya, which accelerated the process for foreign intervention, was Gaddafi’s unforgiving pummelling of unarmed demonstrators with disproportionate means”, are flatly untrue. Bahrain engaged in “unforgiving pummelling of unarmed demonstrators with disproportionate means” to a greater extent than Gaddafi is claimed to have done, yet there is clearly no NATO intervention there (far from it: the state exists by virtue of Western military and police support, including historical collaboration in the torture of political dissidents.) We do a disservice to a proper analysis of the situation by ignoring these basic points. I think you’re right about the reflexive pro-Gaddafism, but you ignore its roots: a firm understanding of the causes and impact of Western intervention in the Arab world. You can’t discuss the issue without mentioning Palestine, Iraq, Iran, Lebanon, Egypt, Saudi Arabia, and so on. I don’t think the pro-Gaddafi position is the correct one — far from it, I think it’s an absurd and masochistic position to take — but we won’t convince people who hold this position simply by adopting imperial homilies about Gaddafi’s crimes and the need for democracy in the Arab world. The point, now, is for serious people concerned with political progression in the Arab world to think of ways of moving forward that genuinely reject both imperialism and domestic authoritarianism, and to do so with an accurate analysis of the region’s political situation at hand. In my opinion, that is what you should have called for, rather than what seems to me a simplistic call for optimism in a situation that is far from ideal. The very fact that its mostly Europeans and Americans who have voiced the anti-NATO, anti-imperialist stance should be most telling to Arabs and Africans. 1 million Iraqis dead. An election in Tunisia that is forever put on hold (by Europe). A Palestine in limbo. The vast majority of Africa starving and forever violated by the West. We are the ones telling you – don’t trust our governments. Our governments are “liberating” countries like Libya, not for the case of Libyan people (who’s future we have probably destroyed and all it takes is to analyze the natural resource reserves of the country with little else to live off) because our governments have destroyed our future and need to plunder the resources of others to try to give us solvency. Don’t Arabs strive for true freedom? Do you really believe European and American governments give a hoot about you? Your future is at stake. Our future is at stake. By all means, fight for your rights. But make sure you have a plan beforehand. Just look what we’ve done to Libya. A very rational and clear expose’ of the situation. Joseph De Maistre said ‘Every nation has the government it deserves.’ There is a whiff of cynicism there but the point is that the people of a nation cannot eternally wash their hands of the state they are in. They are complicit, having allowed their rulers to get away with blue murder. I largely agree with your assessment, Kateb. Your critics seem unable to grasp the essentials. Western interventions are never totally altruistic – that is to misunderstand the nature of international relations – of course there is self-interest but that does not let a tyrant like Gaddafi off the hook. He was certainly not put where he has so long been thanks to the West. Not did he keep himself so long in power as a tyrant thanks to the ‘crusaders’. Arabs – as well as everyone else – should learn to exercise a bit more self-criticism. The constant harping on cliches like ‘imperialism’, ‘colonialism’; ‘orientalism’ and so on does not excuse their own flaws and failures. Perennial blaming of others is a sign of infantilism, not of maturity. Shirking one’s responsibilities in a situation will not work. So, keep at it, dear Kateb. You are doing good. The more voices like you we hear, the more the Arabs have hope. freedom and true democracy will never come on tanks or with bombs and certainly not with foreign intervention . I agree with you that the true change should come from inside and young people should reject both dictatorship and imperialism. interesting article, thank you, although it is often inadvisable to take extreme positions either way. I am interested that you find Arab support to Gaddafi surprising, in relation to the type of ruling he had established. I might be cynical, but I think that is a normal reaction to the wonderfully played games of Gaddafi, and many others in the African continent. Gaddafi has been for decades either the best friend or the biggest nightmare of the “West”, all the time having great support from the Arab world. In many instances, he has also been a silent negotiator – safeguarding his own interests, of course. The overall portrait received by the people abroad is that of an Arab leader who is now fighting back the ultimate imperialist challenge. Had NATO not attacked, we may be facing different opinions, but perhaps not so much. Have you ever looked at Southern Africa, and how leaders are afraid of “offending” each other in the face of massacres, corruption, poor governance and so forth? Have you ever noticed that, like in the Arab countries, the Southern African leaders have fought the same enemy for years and now that they are in power they no longer meet in the bush across a border but in the Hilton hotels of this world? They all sing the same jingles: poverty is cause by the West, the imperialists have just changed suit, and so on. To play on the old lyrics, helps them to find an excuse to maintain the people ignorant which, as Cavour used to say, was a blessing for the ruler. From this ignorance, reactions like you have noted generate and degenerate, to the point that in Southern Africa – for instance – many people in Zimbabwe, South Africa, Mozambique think that Mugabe is a victim of the West. How does one explain this? Maybe, one day, psychologists will name is the Liberation Syndrome, because it happened to all countries that have gone through a ‘liberation’ process, including Italy. Until recently, Gueddafi like many others arab or african leaders who are, today, badly critizised were warmly received and greeted in western capitals. They were qualified as good leaders with high profile vison for their people and their countries. Could anyone help us to understand exactly what went wrong between 2005 when Gueddafi visited Paris, on state visit, and greeted by Sarkozy with red carpet and the same Sarkozy launching his and leading a coalition of NATO against Gueddafi. I read, Kateb, your article carefully and I read, also, with great attention the comments your article has provoked. All of them were diifrents. Some agreed while others disagreed. That means that the libyan case is may be a unique and so diiferent compared to the tunisian and egyptian uprisings. It has nothing to do with a revolution and I can assure you that I have not a single sympathy towards the King of the Kings as Guedafi portrayed himself. Silvio Burlosconi, Prime Minister of Itali, three days ago, qualified the libyan events as a coup d’Etat, not a revelution. Libya without Gueddafi will be better. But, A democracy brought on tanks and by airstrikes, has not he same meanings. African and arab peoples deserve better leadership, good governance, democracy, promotion and protection of human rights. They have teh elites and the youth who can change the way of their future, for better future but again without sarkozy, without cameron and others who helped before the leaders to keep for a long time their throne and trying to overthrew them today because they are not serving their hidden agenda. But even if I disagree with you kateb on some points, keep our candle always on on this issues. Thanks.